Less than three years after having his playing career taken away from him, Kevin Colley is now a professional head coach. The 29-year-old was tabbed as coach of the Utah Grizzlies last Thursday, just days after Jason Christie left the club to become the assistant coach of the Chicago Wolves in the American Hockey League. Colley was Christie's assistant in 2007-08. It's quite the step up for Colley, who helped Christie lead the Grizzlies to the National Conference Finals less than six months ago. It's a step that Colley says he's ready to take. Without question, the young athletes Colley is referring to will be inspired by what the New Haven, Conn., native was able to accomplish as a player. An undrafted forward who scored 85 goals in three seasons with the Oshawa Generals in the Ontario Hockey League, Colley first arrived on the ECHL scene with the Dayton Bombers in 1999. It took four years before he received his first full-time job in the American Hockey League. In 2003-04, Colley went 12-19-31 with 122 penalty minutes in 78 games for the Bridgeport Sound Tigers. He spent two full seasons there and started a third campaign in Bridgeport before being called up by the New York Islanders – who are Utah's NHL affiliate. Colley's light burned out long before it should have. Sixteen games into his NHL career, it was all over. During a game against the Washington Capitals on Jan. 31, 2006, he fractured his fifth cervical vertebrae. He underwent surgery and was forced to retire. It was a painful and unfair way for Colley's career to end, given the amount of work he put in to reach the NHL. Coaching, however, has been a way for him to remain close to the game. The plan now is to work his way back up behind the bench. After hearing the news that he got the job, Colley immediately spoke with Chicago Blackhawks assistant coach Mike Haviland. Much like Colley, Haviland spent years behind minor-league benches and worked his way up to the NHL this summer. Haviland coached Colley and the Atlantic City Boardwalk Bullies to a Kelly Cup championship in 2003. Haviland also started his professional career in the ECHL, as an assistant coach with the Trenton Titans in 1999. Just like the players, the ECHL is an avenue for coaches to prove themselves and work their way up the professional ranks. Christie is convinced that Colley is the right man for the job in Utah. In fact, he recommended his former assistant to Grizzlies' brass before exiting for Chicago. "Some guys get to this level and they're down on themselves and kind of blame other people. I'm here to kind of be an inspiration. If you dedicate yourselves to hockey, good things will happen. There is light at the end of the tunnel." With his roster basically set – the Grizzlies are set to receive a handful of players from the Isles – Colley is anxious to get things going. While he knows he has something to prove to people such as Islanders GM Garth Snow and Sound Tigers president Howard Saffan, Colley is confident that the best is still yet to come. Around the ECHL – Victoria Salmon Kings assistant coach Quinten Van Horlick has resigned for personal reasons. … The Reading Royals signed forward Mac Faulkner, who had 41 points in 52 games for Columbia last season. … The Gwinnett Gladiators agreed to terms with forward Pat Bateman. … Chris Snavely, who went 4-14-18 on the Wheeling Nailers' blue line last season, has re-signed with the club. The Nailers also named Mike McBain assistant coach. McBain signed with Las Vegas in 2003 and retired after last season. … The Phoenix Roadrunners agreed to terms with defensemen Bryan Nathe and Tom Sawatske. … Rookie forward Joel Hanson signed with Augusta Lynx. 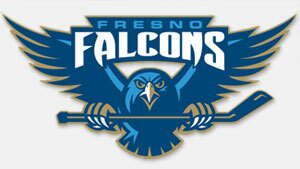 … The Fresno Falcons re-signed all-stars Kenny MacAulay and Oren Eizenman. … Forward Mark Bombersback and defenseman Adam Welch have signed with the Idaho Steelheads. … The Trenton Devils re-signed forwards Jim Henkel and Matt Radoslovich and agreed to terms with rookie Scott Bartlett. … The Johnstown Chiefs acquired the rights to forwards Matt Robinson and Michael Lambert from the Alaska Aces in exchange for the rights to All-Star forward Alexandre Imbeault, who led the Chiefs with 26 goals last season.